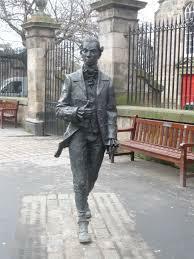 Born in 1750 in Edinburgh, Scottish poet Robert Fergusson was one of the most influential writers of his time despite dying at the tender age of 24. 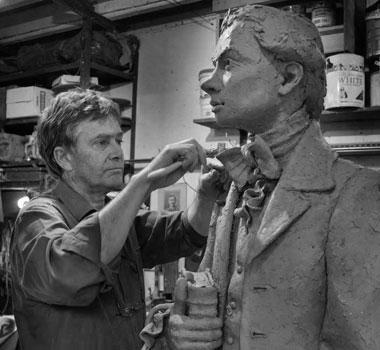 He was brought up initially in Edinburgh but then moved to Dundee where he attended high school before being matriculated to the St Andrews University in 1765. After the death of his father and completing his studies, the responsibility for supporting his mother fell upon Fergusson and he moved back to Edinburgh, taking up a post as a copyist. This caused some friction with his uncle as Fergusson had essentially rejected the excepted professions of the time such as lawyer or going into the church as a priest. 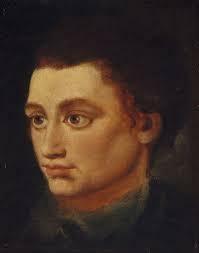 There is plenty of reason to believe that the young Fergusson had started developing his poetic sensibilities whilst at St Andrews, including beginning work on a play about Scottish brave-heart William Wallace. 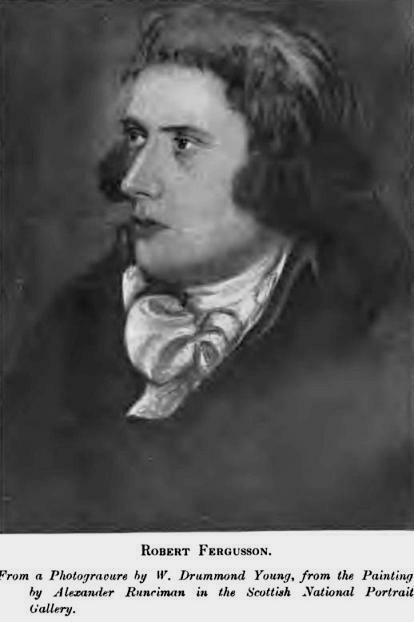 Moving to Edinburgh allowed Fergusson to get to known the writers and other artistic talent in the city, and he mixed largely in bohemian circles, befriending William Woods who managed some of the theaters there. At the time, he also became friends with opera singer Tenducci who was touring the country with his company. 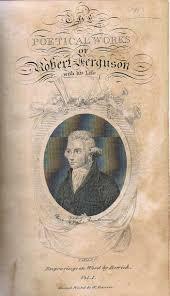 This was when Fergusson was asked to produce Scottish songs for the Edinburgh section of the tour and marked his first published work. Buoyed by his success he began to produce satirical and pastoral poems for the Weekly Review that was run by Walter Ruddiman. His initial offerings were traditional poems but it wasn’t long before Fergusson began writing verses that were considered more ‘Scots’. In 1772 he published The Draft Days which drew a good deal of attention and from then on he would submit poems in both English and the Scots dialect. 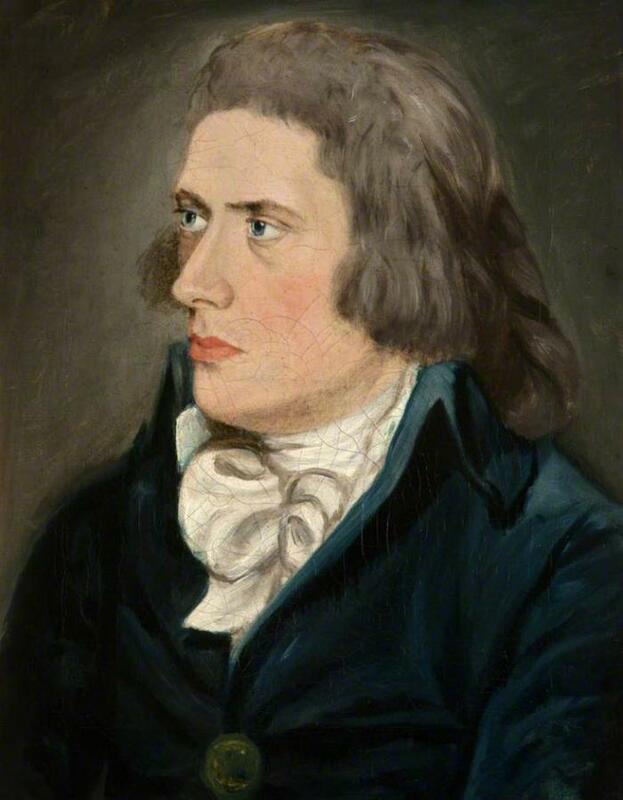 His popularity also grew and in 1773 a collection of his work was published by Ruddiman which sold well enough for Fergusson to earn some money from his artistic endeavors. 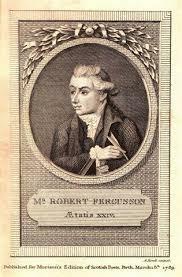 Fergusson wrote his most well-known work, Auld Reekie, about this time and was confident enough of success to arrange to publish it himself. It was intended to be part of a much longer poem and provides an engaging and masterful portrait of Edinburgh at the time. Unfortunately, Fergusson also suffered from bouts of depression and, if any further work was done on the poem it was probably destroyed by him in one of his darker moments. 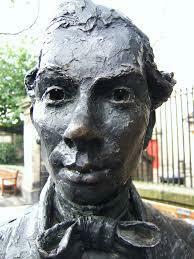 Fergusson became a member of the famous Cape Club that would regularly meet in a local hostelry in the city. Each member of the club had a name and characteristic attached to them and drawings from the time show Fergusson as ‘Mr Precentor’. 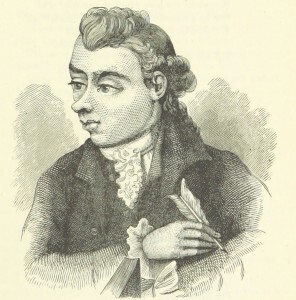 Towards the middle of 1773, despite his growing success and popularity, Fergusson’s work grew a little darker and included Poem to the Memory of John Cunningham where he wrote about his fears of suffering a similar fate and ending up in a mental institution or asylum. At the end of 1774, Fergusson suffered from an injury to his head and, though details are sketchy, did indeed end up in the Edinburgh equivalent of Bedlam. 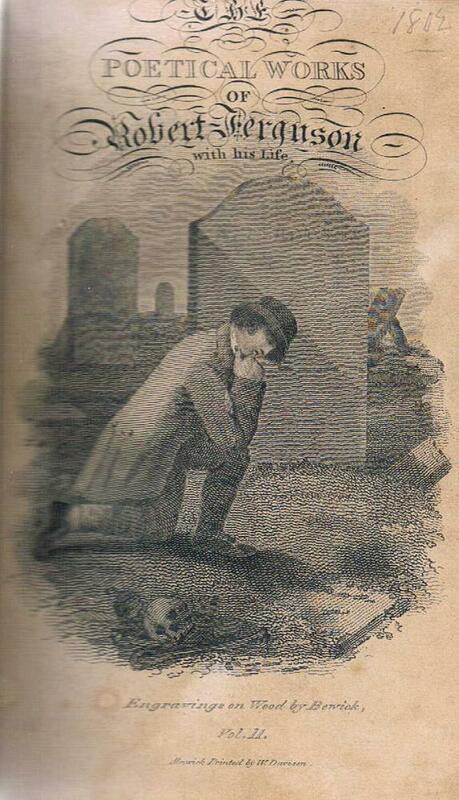 Two weeks later he was dead, at the tender age of 24, and had been buried in an unmarked plot in the city cemetery. Almost ten years later, the great poet Robert Burns commissioned a headstone and wrote the epitaph for Fergusson’s grave.